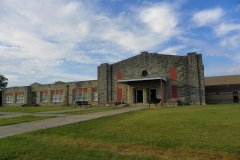 The Madill Elementary School consists of a long central section with perpendicular wings on each end, giving the building an overall length of 265 feet. In addition, the north wing has an auditorium affixed to it which runs parallel to the main central section. The wing is 112 feet long and the auditorium is 53 feet wide, giving the overall structure a width of 165 feet at its widest point. The single-story, 20 room (plus auditorium) structure is constructed of rusticated and coursed native sandstone. Masonry is excellent. It has a flat roof with parapets except on the auditorium, which has an arched roof and parapets that rise to pointed arches. The windows have brick sills. The auditorium has two doors with a three foot wide column between them. The entry is centered under a small round window. 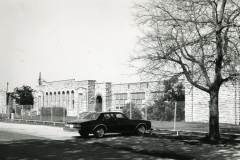 The front facade of the main section has a stepped parapet, arcade-type arched windows, stepped pilasters, and two recessed entryways under arches lined with brick. Brickwork and additional pilasters add decorative relief to the structure. New energy efficient windows and sheet metal porch roof at the entryway of the gym do not impair the building’s architectural integrity. 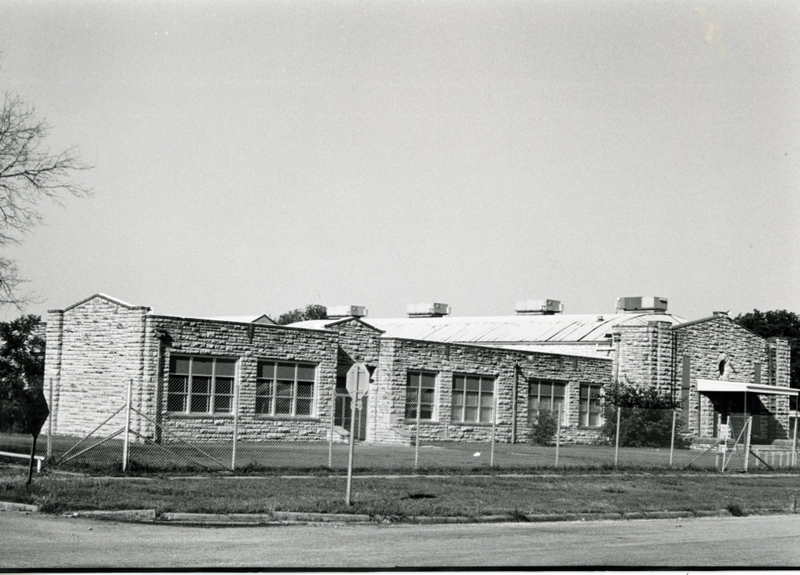 The Madill Elementary School is an exceptionally attractive structure. Architecturally, it is unique in its large scale, decorative style, type, materials, and workmanship. Its construction provided employment for many workers who had been out of work and might otherwise have had to go on the dole. 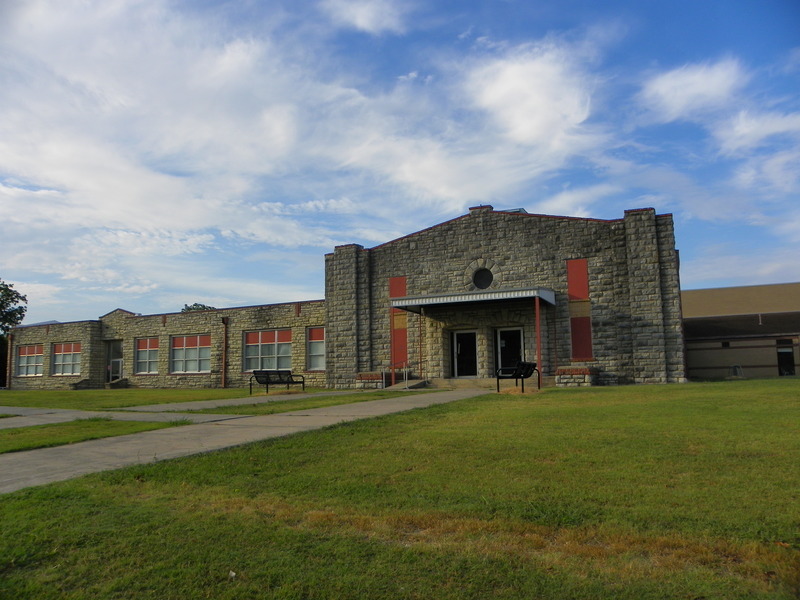 The structure is presently serving the community of Madill as an elementary school. 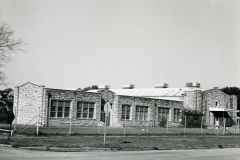 It is certain from viewing this structure that the WPA must have fostered a sense of pride and self-esteem for area laborers, school children, and citizens alike.